This two-story structure, newly renovated under the current owners of the Vrooman Mansion, combines the warmth of a cozy cottage getaway with modern amenities and spa-quality bathroom fixtures. The first floor of the Carriage House provides an intimate and romantic atmosphere, with heated floors and a stone-set wood burning fireplace. Want to enjoy the outdoors? Just beyond the screened-in porch is an outdoor fireplace, perfect for couples and friends to heat up under the stars while surrounded by the mature oak and maple trees. The Carriage House has everything you might desire during your stay in Bloomington, Illinois. 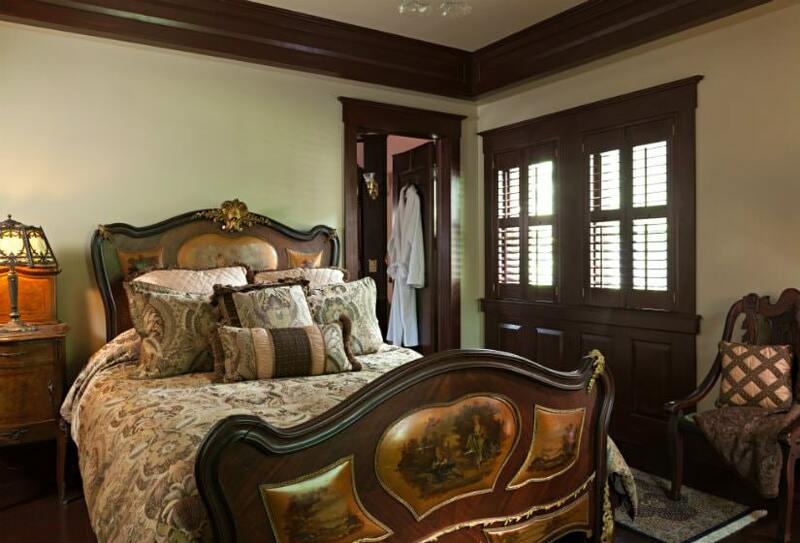 Select one of our two second-floor suites, or reserve both to use the entire Carriage House as a private retreat. Perhaps you are a writer looking for quiet inspiration, or a wedding couple seeking the privacy of a cozy honeymoon suite. Or maybe you are the unelected leader of a small group of ladies – we can assist you in setting up a weekend spa party! 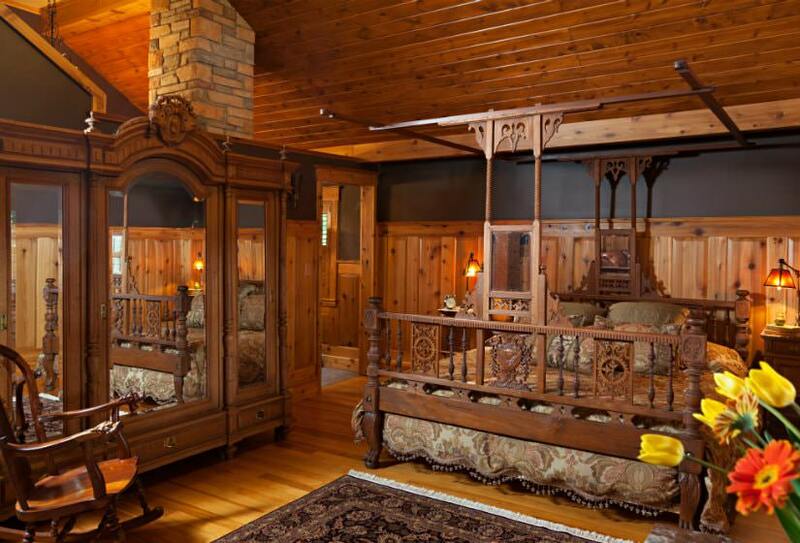 Guests who reserve both bedrooms to privatize the Carriage House also have access to a queen-size pullout sleeper sofa downstairs, creating space for a total of six overnight guests. Whether you are looking for a more private alternative to a noisy hotel, or you were simply drawn in by the comforting wood and brick décor, the Carriage House is a great place to lose yourself for multiple nights.